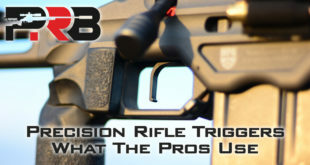 The firearms industry usually advances through incrementalism … a company just improves over last year’s design somehow by making it lighter, faster, more accurate, higher capacity, more reliable, or incrementally better. 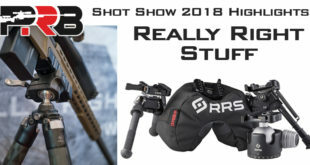 It is rare to find a completely fresh, innovative design, but American Rifle Company (ARC) is a young startup that brought a new product to the SHOT Show 2014 that caught a lot of people’s attention. Theodore “Ted” Karagias is a brilliant Mechanical Engineer and President of American Rifle Company. Ted has packed so many innovative features into his new product that it can be a little overwhelming. But hang on tight, because it’s well worth the ride. Here is a video of Ted explaining some of the new features integrated into American Rifle Company’s M2 rifle. 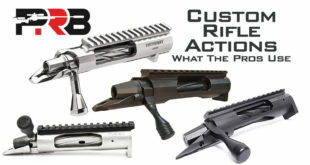 So Ted actually designed the chassis, receiver, bolt, barrel swap system, magazine, trigger, and even the patented scope mounts. Many of his designs are things that have never been done before, like the completely ambidextrous design of both the bolt, and a chassis that can be configured to fold on either side. 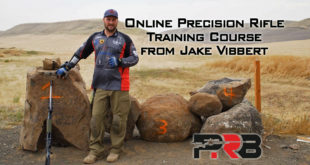 And he did it all while shaving off 30% of the weight of comparable rifle systems, such as Accuracy International’s PSR. Does this guy ever sleep? ARC plans for the M2 rifle to retail for $6,000, complete with a ½ MOA accuracy guarantee. They’re working to ship the first rifles in July 2014. 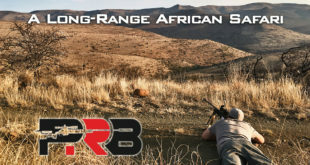 Patented receiver isolation system ensures that as loads are imparted to the chassis they aren’t transferred to the receiver, which preserves the relationship between the scope and the barrel. 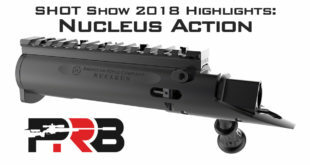 Unlike most chassis that bolt into the bottom of the receiver, the M2 is pinned from the side with one pin in a hole and pin in a slot that allows for axial compliance. 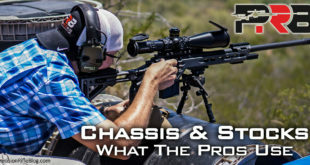 Lightest rifle in its class at 12.5 pounds with a 27” barrel with muzzle brake and magazine. 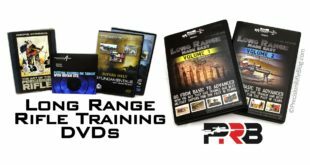 That is 5 pounds lighter than the 17.5 pound AI AX PSR. Bolt lugs do not need to be lapped, because the bearing surface of the bolt lug is toroidal in shape (think donut) and the inside of the receiver is a spherical shape. The physics behind this innovative new design causes the bolt to automatically find its lowest energy state when the bolt is closed, which is properly aligned and perfectly centered … every time. 0.04” of sear engagement (1mm), which is huge by industry standards and adds an addition layer of safety. Trigger only moves 0.02” when engaged with no perceptible creep, which is a very small number for that much sear engagement. 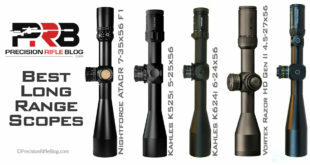 Also, more information should be available soon on these rifles at AmericanRifle.com. 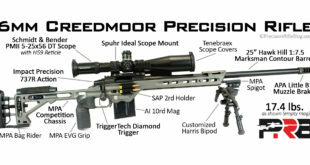 Next Surgeon Rifle Raffle for USMC Scout Sniper Assoc. When can you make me such a rifle, Ted?